Learn more about Whirlpool® Water Softeners through these Frequently Asked Questions. How is the “hardness” of water measured? The hardness of water is measured in grains per gallon (gpg). One grain is equivalent to 17.1 milligrams of calcium or magnesium dissolved in one liter of water. For example, one aspirin is equal to 5 grains, and when dissolved into a gallon of water, the unit of measure would be reported as 5 grains per gallon. Your municipal water supply may measure water hardness in mg/L or ppm. 1 gpg = 17.1 mg/L or 17.1 ppm. Soft water is less than 1 gpg, whereas hard water is anything above 7gpg. How do I find out my water hardness? You can find out what your water hardness is by reviewing your annual drinking water quality report, contacting your local water municipality if your report doesn’t include water hardness, or purchase a water test kit. Why does soft water make my skin feel different? When you wash your skin with hard water, there is a layer of soap and minerals that is left on your skin. This is what causes the supposed ‘squeaky clean’ feeling. Soft water actually helps rinse the soap completely from your skin, allowing your skin’s natural oils to surface. Soaps will lather better and you’ll be able to use half as much. Is it the salt in my water that’s making my skin feel oily? No. Softened water helps release the healthy, natural oils in your skin, preventing it from feeling dry and irritated. No, the resin bed inside the softener is what softens the water, and over time that resin becomes coated with hardness particles. When that happens, the softener goes into its regeneration cycle and the salt in the tank is mixed with incoming water to rid the resin bed of these hardness particles. After regeneration the unit is then ready to provide a steady stream of soft water to your entire home. A water softener’s size, often measured in cubic feet or grain capacity, takes into account the number of people in the household, the average water use per person and the hardness of your water. The rated capacity of a softener is the maximum number of grains of water hardness the unit can remove prior to regeneration. In general, the more people and water being used, the larger the capacity the water softener should be. The best option, is an evaporated salt. This is the purest form of salt at 99.99% sodium chloride and is found in pellet form. This type of salt significantly reduces your chances of buildup, so you don’t have to clean the tank as often. As a rule-of-thumb, higher purity salts leave less storage tank residue, lower the likelihood of salt bridging, and require less maintenance. Other types of salt are available for specialized applications. Whirlpool® Water Softeners use less salt than most competitive models. What if I’m on a sodium-restricted diet? Water softeners using sodium chloride (salt) for regeneration add a minor amount of sodium to the water. Persons on sodium-restricted diets should consider the added sodium as part of their overall intake. If sodium intake is a concern, consider using Potassium Chloride (KCl) salt for regeneration or investing in in a reverse osmosis drinking water system. *If your water supply is 15 grains hard and you drank 3 quarts of softened water, you would consume 336 milligrams of sodium. That is equivalent to eating 2-1/2 slices of white bread. **One large banana, about 9 inches in length, has approximately 600 milligrams of potassium. What is the difference between an ‘old’ and ‘new’ water softener? The age, design, salt efficiency, and warranty are often different between ‘old’ and ‘new’ water softeners. Age: Like any other appliance, a water softener’s efficacy starts to decline after years of constant use. A softener’s average lifespan is about 10-15 years. If your water is abnormally hard or full of other impurities, it takes a greater toll on the appliance much more quickly. If your water is low to moderately hard, it won’t have to be regenerated as often, extending the life of the appliance a few more years beyond the average lifespan. Design: A ‘two tank’ structure is common for products utilizing older softener technology. Typically two tank units are built by separate companies at separate facilities and the components are not designed and integrated to work together efficiently. These two tank models also consume more floor space than single tank cabinet unit. Whirlpool® water softeners are all single tank softeners and are designed, engineered and assembled at the same plant in the United States, ensuring the highest levels of quality. Salt Efficiency: A softener uses salt to regenerate, or ‘clean’ itself of the hardness particles it collects during regular operation. Older softener technology utilizes a timer and regenerates at regular intervals regardless of water consumption. These models aren’t ideal if your water usage varies. If you underestimate your water usage (i.e., extra loads of laundry, extra guests), and your water softener regenerates too infrequently, you will allow hard water to flow throughout your home. On the flip side, overestimating your water use will result in unnecessary regeneration, wasting water, salt and energy. However, Whirlpool® Water Softeners regenerate only when needed based on your family’s water use, a process called Demand Initiated Regeneration. The use of this technology greatly reduces the amount of water and salt Whirlpool® units will consume. Warranty: Many older softeners will come with warranties that can sound appealing. However, these warranties are usually for the parts and material only and frequently require a trip charge or other hidden costs. Whirlpool® units come with a minimum 1-year in home parts and labor warranty (warranty varies by model). How do I extend my full-coverage warranty with Whirlpool® Water Softener Cleanser? Purchasing 3 bottles of Whirlpool Water Softener Cleanser (model WHE-WSC) every year will extend your full parts and labor warranty for an additional year. Water Softener extended warranties cap out at 5 years or 10 years depending on model. For warranty details, click here. To validate and extend your Whirlpool Water Softener warranty, register your product online and upload your purchase receipts. Recommended usage: pour a full bottle of the Softener Cleanser into the brine well every four months. After pouring the Softener Cleanser into the brine well, press and hold the Recharge button until a recharge commences. The Softener Cleanser will keep your softener free of contaminants, iron, and hard water build-up that can affect the system and reduce efficiency. What makes Whirlpool® Water Softeners more salt efficient than other models? Water softeners require salt to regenerate, or ‘clean’ itself of the hardness particles it collects during regular operation. The amount of salt used in this process is called a ‘salt dose’. Most other softeners have a defined salt dose, meaning they have to be set either on ‘high capacity’ or ‘high efficiency’. When it is set to ‘high capacity’ the unit will regenerate less frequently but use a significant amount of salt to regenerate. When it is set on high efficiency, it will use less salt per cleaning cycle, but must regenerate more frequently. Either way, the unit will consume a significant amount of salt and water. Whirlpool® units employ a ‘variable salt dose’, meaning the amount of salt used to clean the system will vary depending on the amount of hardness the system has collected. Similar to the benefits of Demand Initiated Regeneration, this variable salt dose process results in a significant reduction in the amount of salt and water the system will use. Whirlpool® units also include an exclusive feature that ‘learns’ the consumer’s water usage patterns and employ a predictive algorithm to anticipate the amount of water and hardness particles that will run through it. This feature allows the system to regenerate when it is most efficient and also prevents the consumer from running out of soft water. Finally, Whirlpool® units are certified by NSF, an independent third party, for structural integrity, grain capacity and efficiency. Other units may carry the NSF certification, but they are commonly certified for structural integrity only, not efficiency or capacity. Why does a softener need to recharge? A softener needs to rid itself of mineral particles that it collects in the resin tank as water is processed through it. About as much water as it takes to wash a load of laundry. This equates to about $4 per year. As much as a digital alarm clock. This equates to less than $5 per year. How often does my water softener recharge? In a typical household, it will regenerate every three to seven days. All Whirlpool® Water Softeners feature Demand Initiated Regeneration and regenerate only when needed, saving water and energy. How long does a water softener take to recharge? About two hours. Whirlpool® Water Softeners come pre-programmed to regenerate at 2:00 a.m., and can be reprogrammed to regenerate at any desired time. Whirlpool® Water Softeners come with a battery-free power interruption backup feature that will maintain the clock settings for eight hours in the event of a brief power outage. In the event of a longer power outage, the clock may need to be reset but all other settings are retained. An undersized septic tank or excessive use of cleaning products is more likely to disrupt the normal operation of your septic system than a water softener. If your home currently has a water softener, consider the regeneration style (demand initiated or timer-based) and age of the water softening system—it may be time for an upgrade. Whirlpool® water softeners utilize demand initiated regeneration and are very efficient with salt usage so they will not overload the septic system and will not impact drain field soil percolation. Whirlpool® Water Softeners come with detailed instructions and everything to hook up to 1” NPT plumbing, including a bypass valve. You will need the necessary connectors and enough tubing to connect from the water softener to your existing plumbing, access to 110V electrical outlet, and drain. See installation manual for details. Don’t want to install yourself? Consider purchasing one of our PRO Series Softeners that include installation and many other benefits such as extended warranties. Professional installation for select models is also available at Lowe’s. Ask your local Lowe’s associate about their installation services to learn more. Will water softeners take out iron? 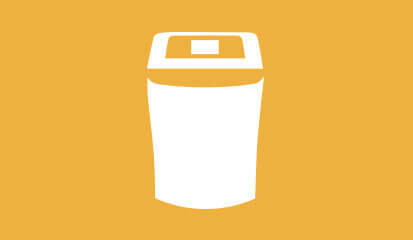 Whirlpool® Water Softeners remove clear water (ferrous) iron from your water supply. No water softener will remove red water (ferric) iron. Ferrous, or clear water, iron completely dissolves in water, which is why you don’t notice it right away. The presence of clear water iron will be characterized by reddish-brown stains in your sink or toilet and yellow-tinged water after your water has sat out. Whirlpool® water softeners are equipped to remove varying ranges of clear water iron, keeping the rings off of your toilets, sinks and showers. Can Whirlpool® Water Softeners be installed outdoors? Yes. The water softener should be protected from the elements with some type of cover for a longer lifespan. They should not be installed under the roofline where rain water can be an issue. 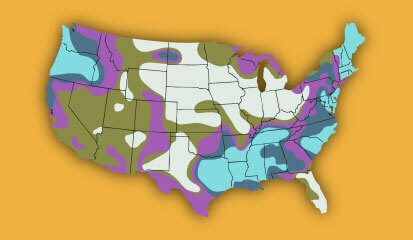 Where are Whirlpool® Water Softeners built? Whirlpool® Water Softeners are built in Ripley, Mississippi. Can a water softener be installed in conjunction with a Whirlpool® Central Water Filtration System? It is a great idea to install a central water filtration system with a water softener. Water softeners remove calcium and magnesium, while the central water filtration system removes sediment, chlorine, taste and odor. Using both units together will definitely enhance the water running through your entire home.